Please note: a Calrec Brio 36 Slim Trim option is also available on request. The Slim Trim version reduces the Calrec Brio 36's width to 830mm wide. Please contact us for more information. 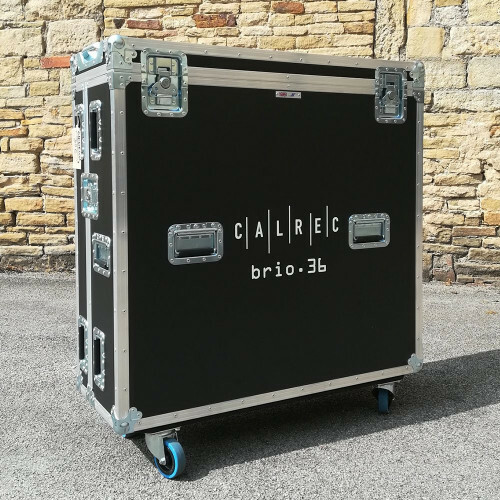 Brio's comprehensive broadcast feature set supports a wider breadth of broadcasters, while retaining the same market-leading levels of quality and customer support which Calrec is renowned for. 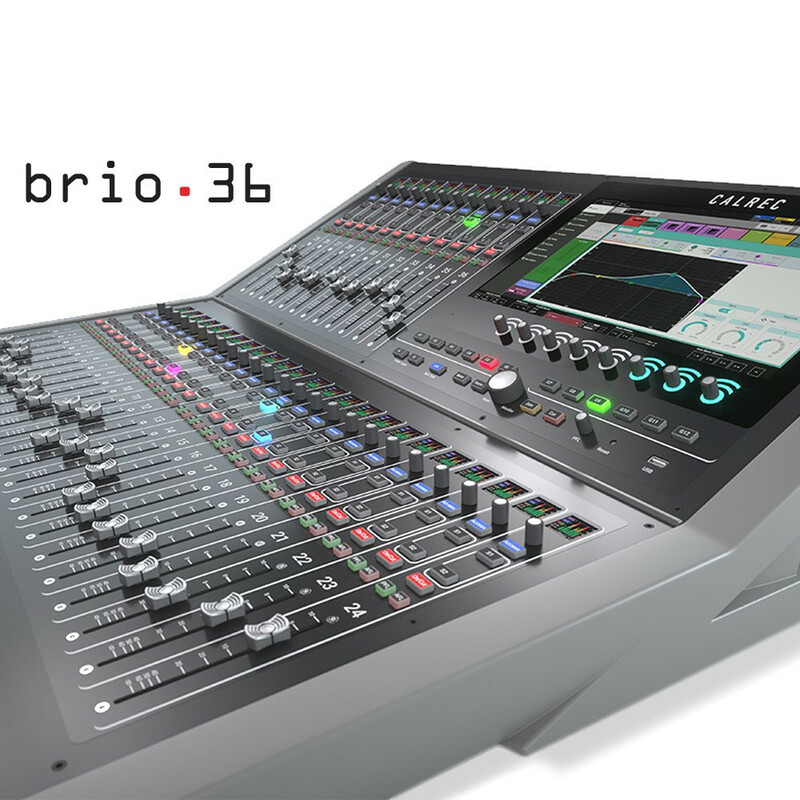 The smallest in Calrec's Bluefin2 family, Brio's control surface is unlike any other console. 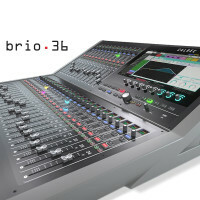 Available in two sizes; Brio 36 with a 36 fader dual-layer surface at 892mm wide and the Brio12 with a 12 fader dual-layer surface, both provide more faders in a given footprint than any other comparable audio console. 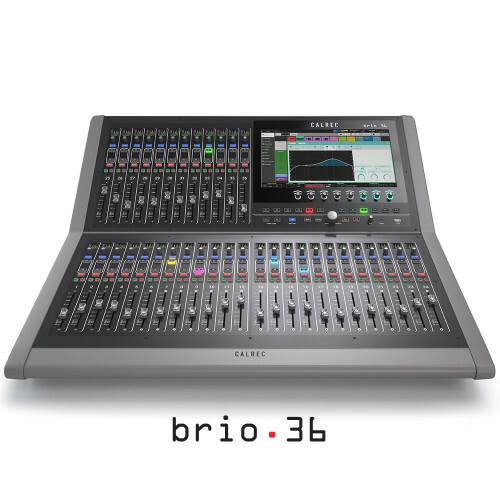 Based on Calrec's 20 years of digital development, Brio's uncluttered, compact and configurable surface gives instant access to a large number of audio paths, whilst an intuitive 15.6" HD touchscreen UI provides quick access to more in-depth control. A bank of illuminating hardware rotary controls give fast and precise control over parameters displayed in the touchscreen UI. Brio is a mixing console completely focused on the needs of broadcasters. 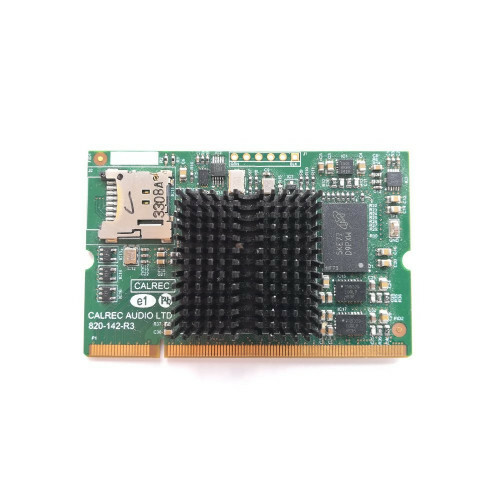 This level of scalable and managed I/O, comprehensive monitoring, surround sound and high bus quantities provides a level of dedicated broadcast functionality that has never been available at this level. 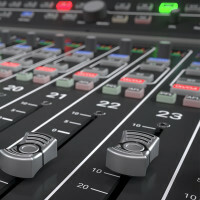 As the market calls for more and more audio mixes to support online content, smaller consoles that possess pure live broadcast features are increasingly desirable. 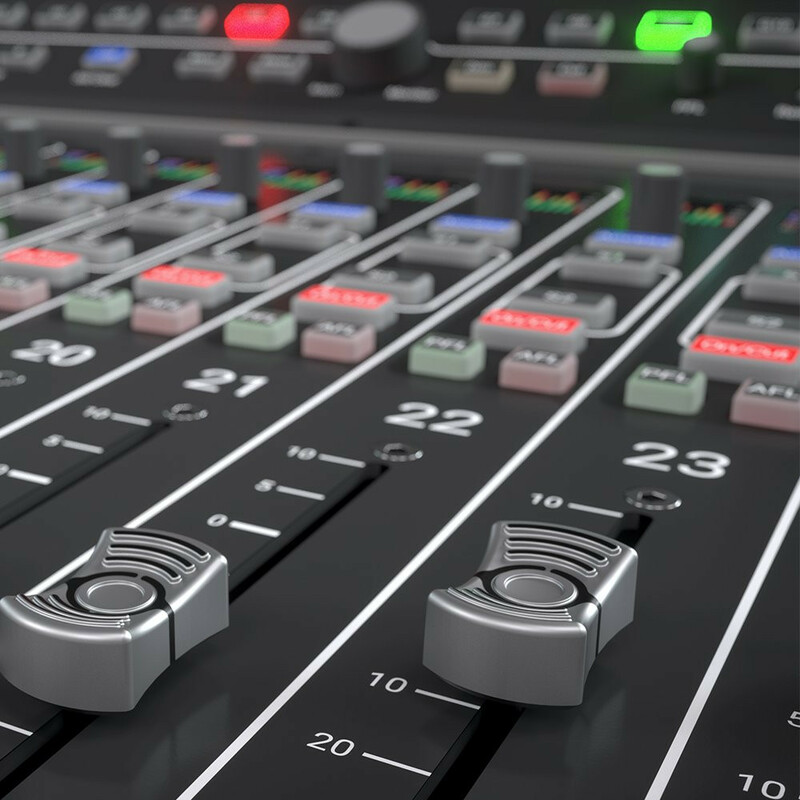 Products in this sector have traditionally had basic capabilities and are not ideally suited to broadcast environments. Brio is the first application-specific alternative. 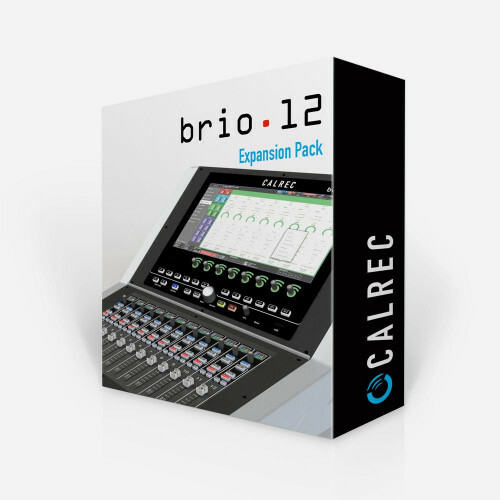 Brio's compact size means it is extremely portable and quick to install, making it ideal as a general purpose workhorse that can be used as and when needed, and its connectivity with other Hydra2-compatible equipment makes it even more versatile. Brio is entirely self-contained. 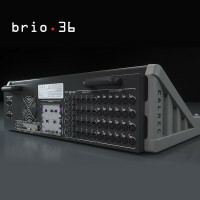 Brio 36 even provides analogue and digital I/O, and GPIO, built into the surface. Additional expansion I/O slots are also fitted to allow for further I/O to be connected. A Hydra2 module can also be fitted to connect to and share audio over Calrec's Hydra2 network. This means Hydra2's sophisticated management facilities can be utilised for network-wide control, including interfacing with multiple IP networks. This protects the system against any future formats that may emerge and allows the console to sit on multiple networks simultaneously if desired. 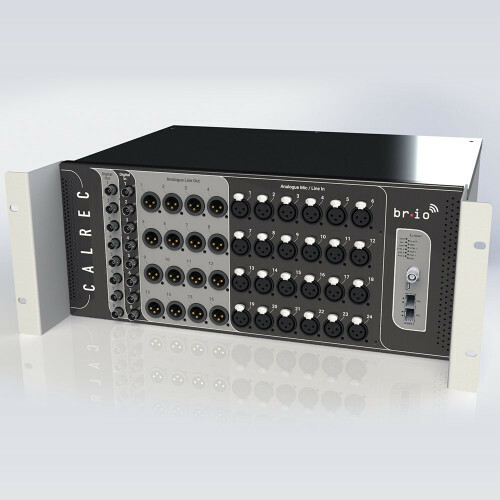 As of September 2018, all Calrec Brio consoles ship with a pre-installed Calrec Hydra2 Expansion Module, enabling further I/O to be connected in the form of Hydra2 I/O cards, as well as allowing Brio consoles to connect to and share audio over a Calrec Hydra2 audio network. The Hydra2 Module also enables you to incorporate any future formats that may emerge into your system, and allows the console to sit on multiple networks simultaneously if desired. Please note that older Calrec Brio consoles may not have a pre-installed Hydra2 card. If you'd like to add a Hydra2 option to an existing Calrec Brio 36, additional Hydra2 Expansion module cards can be purchased here. 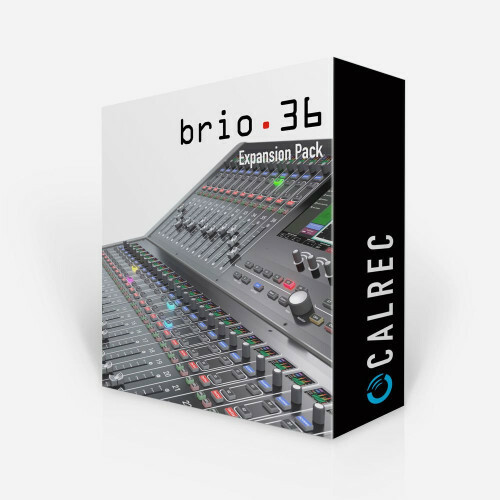 Upgrade your Brio 36 to 96 input channels with the Calrec Brio 36 DSP Expansion Upgrade. 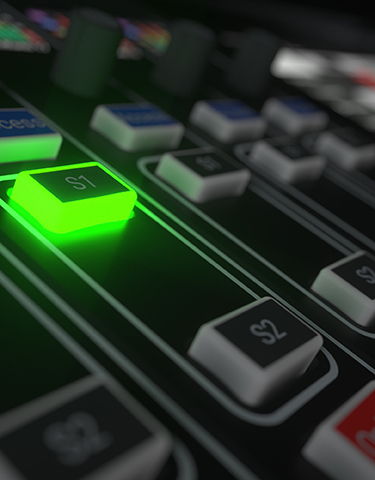 As the industry demands more and more from increasingly tighter budgets, there has been a rise in the need for smaller production units handle larger productions. 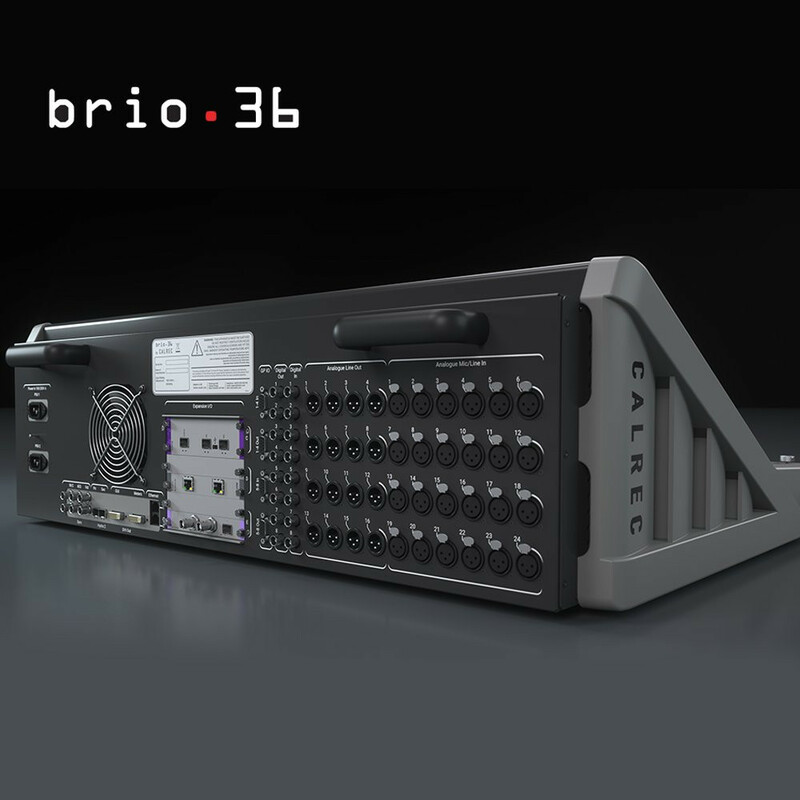 In response to this need, Calrec offers Brio 36 owners the ability to expand their channel count from 64 to 96. Simply purchase and download the unique licence key that will be specifically associated to your Brio 36, and transfer it via USB key to give your console a boost. It's as simple as that. Each licence can only be used on one console. Further licences are required to upgrade multiple consoles. The following summarises key new features by the software version in which they were introduced. If you require features that are not available in the software version that you are running, please call us on 01727 821 870 or contact us to discuss upgrade options. • 2 x Automixers available to all mono Input Channels and Groups (uses Comp/Lim 1resource). • Input delay: up to 5.4 s available per path from a pool of 64 mono legs, for example, when assigning input delay to a 5.1 path, six of the 64 mono legs are used. • Output delay: up to 5.4 s available per path from a pool of 64 mono legs, as above. • Optional Hydra 2 Module allows for further I/O to be connected, and to network audio with other consoles. • Path delay: up to 5.4 s available per path from a pool of 64 mono legs, as above. • Support for Hydra2 connection to Apollo/Artemis/Summa/Router cores that are running V8.0.1 software and above for multi-console networking. 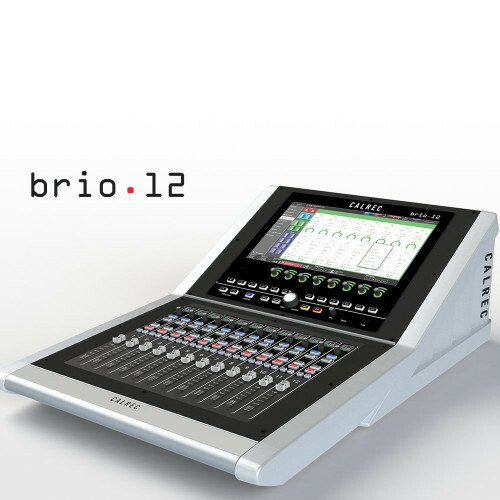 • Changeable System ID:-Brio consoles ship with a factory set ID of 192.1. If connecting them to a multi-console Hydra2 network, their system ID should first be changed, to be a unique ID amongst all the consoles on the network. Networked consoles should not use IDs starting with 192*. Note: the second part of the system ID is used to determine the internal I/O’s HID. The second part therefore needs to be unique amongst Brio36s, regardless of whether they have a unique first part in order to differentiate their I/O. Any existing internal I/O patching will need to be re-made after changing I/O ID. • H2Hubs connected to a standalone Brio should be given an ID greater than 1* (using the DIP switches on the rear of the hub). • I/O connected via H2Hubs will not update software – when upgrading software, each I/O box requires connecting directly to the Brio console one at a time, in order to upgrade them. • H2Hubs also need a direct connection to a Brio in order to update their software, and require both primary and secondary to be connected in order to reprogram both primary and secondary modules within the H2Hub. *Console IDs of 192.X can be used, however there will be conflict if any H2Hubs are connected that have an ID that matches X. It is therefore recommended not to give Hubs an ID of 1 as this will conflict with a factory default Brio on 192.1. It is also recommended not to use 192 if connecting to a larger, multi-console network, to avoid such potential for ID conflicts.